Courtois, C. A., & Ford, J. D. (Eds.). (2009). Treating complex traumatic stress disorders: An evidence-based guide (pp. 82-104). New York, NY: Guilford Press (488 pages) ISBN-13: 978-1462513390 ISBN-10: 1462513395 ($38.00 hardback). Treating Complex Traumatic Stress Disorders: An Evidence-Based Guide edited by Christine Courtois, PhD and Julian Ford PhD consists of 20 chapters written by experts in the field of trauma. The book provides a thorough review of empirical research, assessment measures, and treatment approaches for adults, adolescents, and children with complex traumatic stress. The content is presented in a user-friendly format that could serve as a resource for researchers, professionals, and trainees. Although the Diagnostic and Statistical Manual- 5 (DSM-5) did not incorporate complex traumatic stress disorder into the current edition, and the diagnostic criteria for posttraumatic stress disorder (PTSD) has changed, Treating Complex Traumatic Stress Disorders: An Evidence Based Guide still offers a wealth of information that can inform clinical practice and research. The 33 authors, including the editors, aim to provide a thorough review of evidence-based literature offering guidelines for conceptualization, assessment, and treatment focused on complex traumatic stress disorder. In addition, the book provides information on many comorbid symptoms and presentations, such as difficulty with emotional regulation, relationships, dissociation, and identity, as well as other critical issues discussed in the field. The 466 pages allow for a wide selection of tools and approaches tailored to the needs of this population and those working within the area of trauma. The book is divided into three fundamental sections. The initial and most extensive section provides a comprehensive overview, clinical implications of related neurological and developmental research, and best practices in psychotherapy for complex traumatic stress disorders. It also includes a helpful chapter on assessment that identifies a number of self-report and interview measures used for children and adults alongside recommendations for their use. The final chapter of this section is a review of evidenced-based measures of attachment style and abuse, including case illustrations of PTSD and complex PTSD, which provide useful depictions of the clinical implication on treatment. This section also incorporates research and discussion on relevant issues such as dissociation, cultural competence, therapeutic alliance, risk management, vicarious traumatization, and self-care. These chapters offer valuable resources that can be readily accessible for clinicians that include “tools” to assist with challenging scenarios and risk management (e.g., documentation, process comments, treatment duration and termination), and strategies to strengthen the therapeutic relationship and reduce burn out. After providing a solid foundation for understanding complex trauma, the editors dedicate the following section to individual treatments. Treatments include contextual therapy, cognitive behavioral therapy, contextual behavior trauma therapy, experiential and emotional-focused therapy, sensorimotor psychotherapy, and pharmacotherapy. The authors of the chapters skillfully describe the theoretical conceptualization, model of treatment, and summary of evidence. Each section concludes with a valuable case example and sample therapist-client transcript that demonstrates the theory and concepts, which enriches the reader’s ability to understand the treatment. The final section addresses systematic treatment modalities that include internal family systems therapy, couples, family systems, and group therapy. The authors of these chapters include the theoretical conceptualization and model, research, and a therapist-client transcript that makes these chapters a useful and innovative resource. All sections are well written and contribute key points and summaries that highlight important information to consider during assessment and psychotherapy. The book emphasizes multiple factors that may impact the severity and chronicity of complex traumatic stress disorder reactions to trauma that can be used as a reference and resource. Although the editors acknowledge the wealth of empirical evidence on complex traumatic stress, the book does not offer comprehensive details. At the conclusion of the book, the reader will become more familiar with a practical framework when working with individuals with complex traumatic stress disorders. The book is highly recommended for researchers and clinicians to increase knowledge, as well as sharpen clinical skills. Moreover, the book could be informative for others who work directly with trauma survivors. Annmarie Wacha-Montes, Psy.D. is a clinical psychologist and assistant director for community based services at Rutgers University Counseling, Alcohol and other Drug Assistant Program and Psychiatric Services. 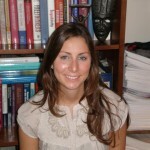 She completed her postdoctoral fellowship at McLean Hospital/Harvard Medical School and internship at the Syracuse VA . Her training and interests include: trauma and co-occurring disorders, suicide prevention, crisis intervention, eating issues, guided self-help, and health psychology.